Congratulations to Audrey Berlie for being chosen as a 2019 EarthEcho Water Challenge Ambassador! 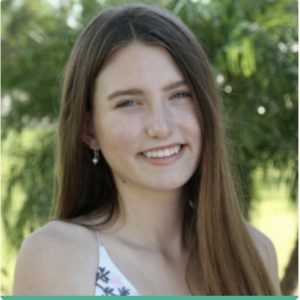 Audrey lives in Naples, Florida, and is especially interested in environmental science, including marine and animal life. Her favorite classes are AP Biology and Rhetoric. She is currently training to become a veterinary assistant and is a teen intern at the Conservancy of Southwest Florida. As a Water Challenge Ambassador, Audrey will increase knowledge of local water resources throughout her community by leading citizens through water quality monitoring events and water restoration and conservation programs. She will also have the opportunity to increase her own skills in the field of water monitoring and conservation through professional development opportunities and trainings throughout the year. WHA is proud of you, Audrey!